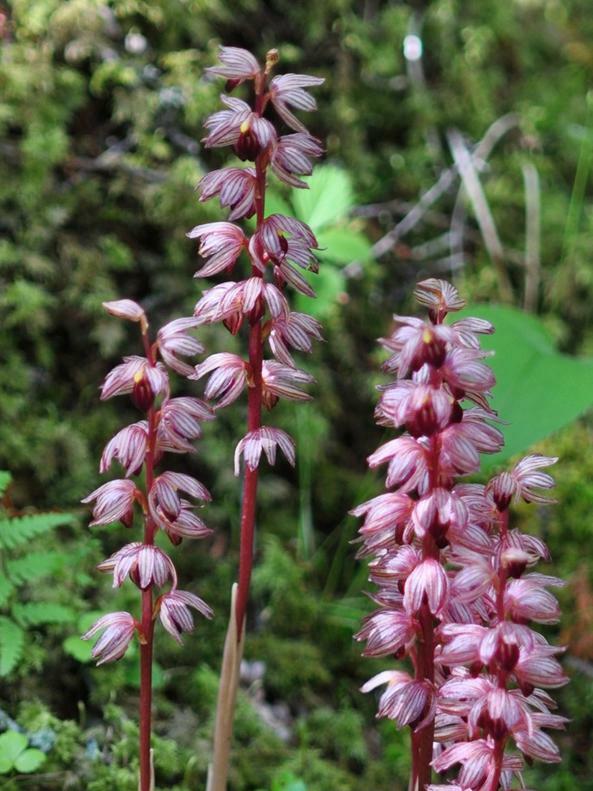 Corallorhiza striata, commonly known as Striped Coral Root, is widely distributed across Canada and the western and central United States, from Quebec to Texas. Like other members of this genus, it is myco-heterotrophic: it primarily obtains nutrients not from photosynthesis but through mycorrhizal fungi. 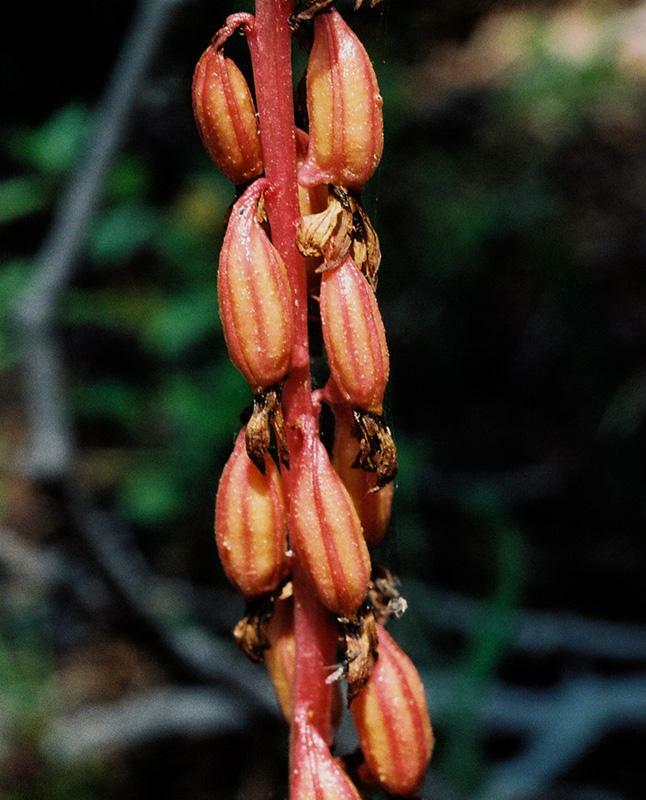 Flowering in the spring or summer, it produces up to 35 yellowish pink to red flowers, with several darker purple veins giving the appearance of stripes. 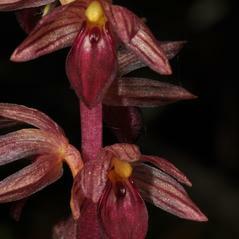 The labellum is red or purple and often has white or yellow at the base. 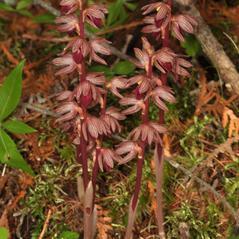 This orchid is closely related to C. bentleyi, but can be distinguished by its earlier flowering time. 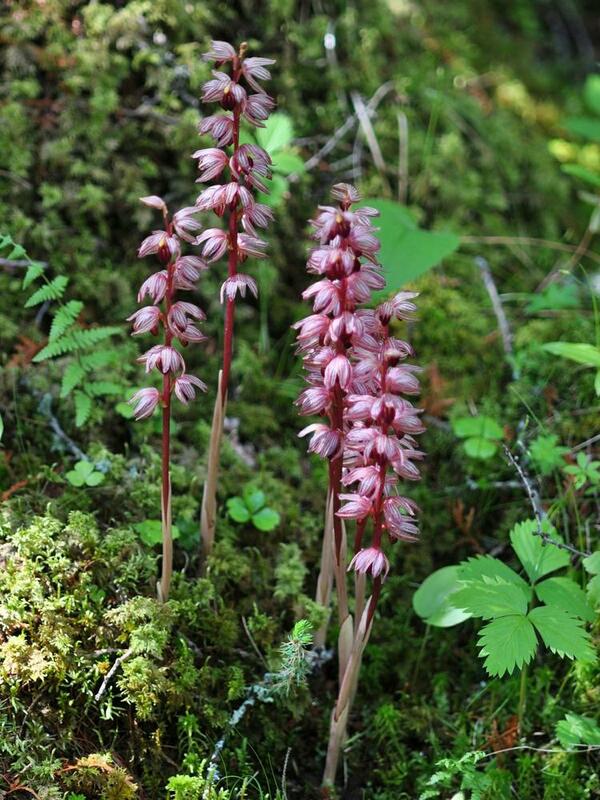 It grows in forests, woodlands, and occasionally on lake shores and often forms large patches. 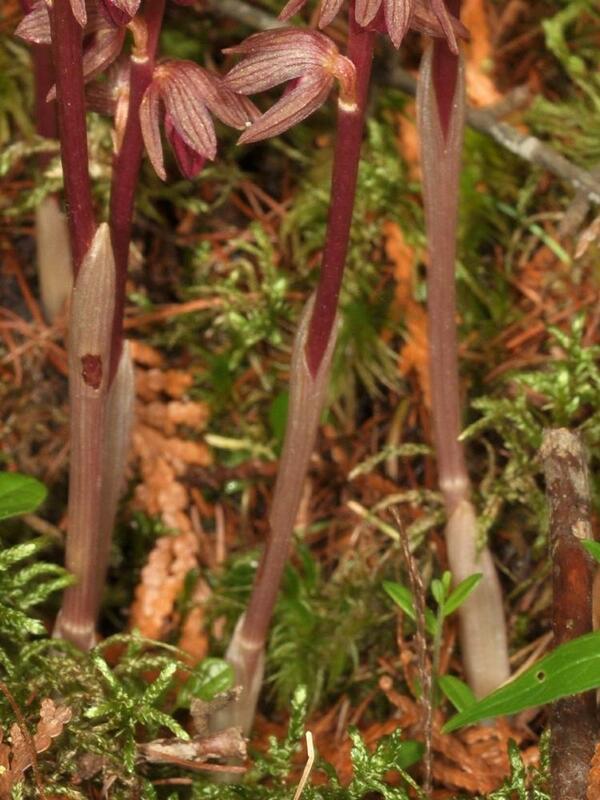 Corallorhiza striata is considered globally secure, but is rare or vulnerable throughout much of its northern range. 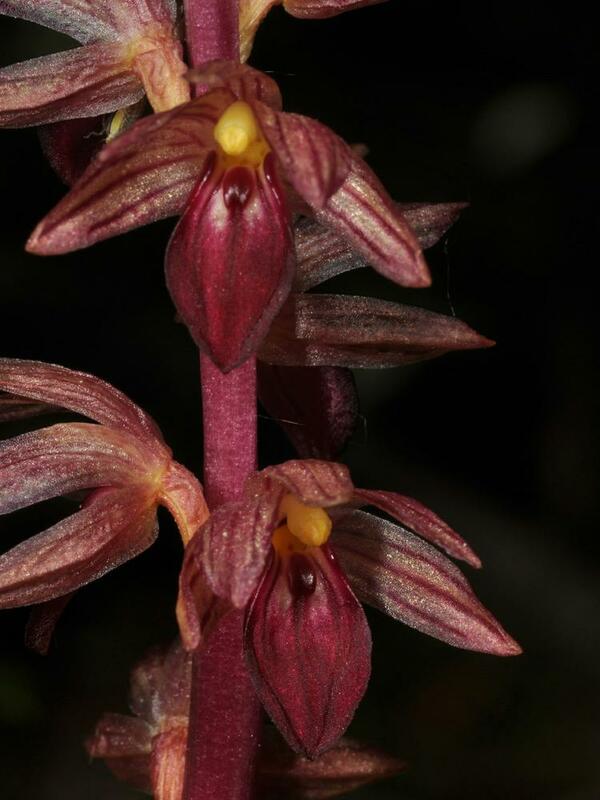 The flowers of this orchid are large and showy and well suited for insect pollination. 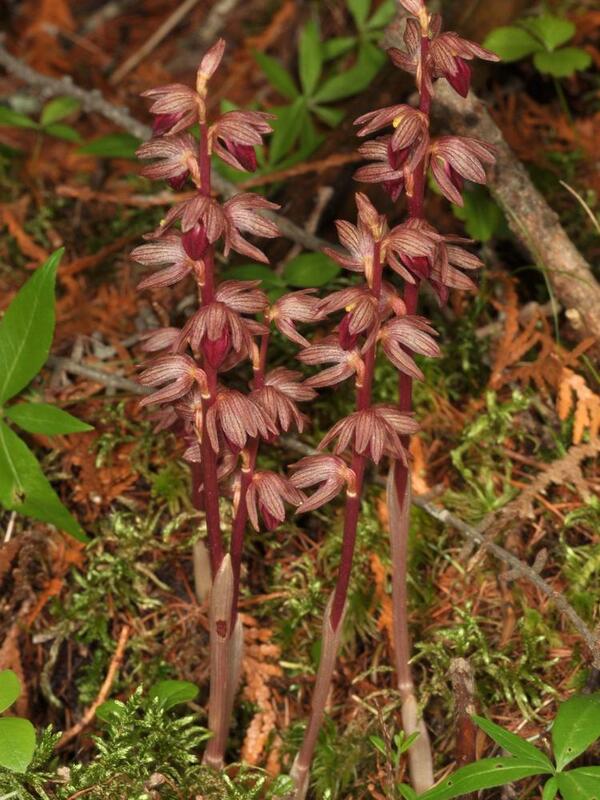 The parasitic wasp, Pimpla pedalis, is a documented pollinator of this orchid. 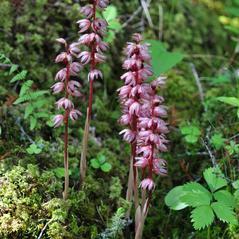 Corallorhiza striata var. 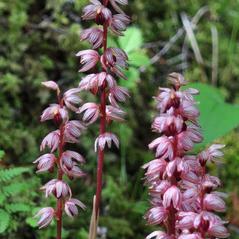 striata, which grows farther north and has open to spreading petals and sepals. 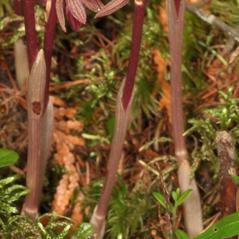 Corallorhiza striata var. 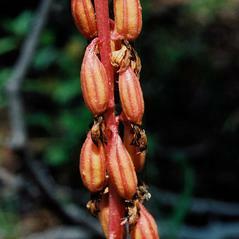 vreelandii, which has a disjunct southern distribution and has connivent sepals and petals.